I collaborated with Donegal County Council (Comhairle Contae Dhún na nGall) and Brian McVeigh of McVeigh Broadcast to create a video advertising Donegal as the perfect place to be for life, work and play. My role included the creation of all content pertaining to the animation including character design, rigging, asset creation and animation. I also handled the creation of the storyboards following the direction and script provided by Brian in conjunction with our consulting partners. All animation content was created in and with Adobe After Effects. Brian McVeigh overseen the editing of the live action portions (including audio) of the video as well as adding my animated sections to the beginning and end of the trailer, as well as providing feedback on my provided sections to assist with timing of scenes and text. The premise of the video was to focus on the character of Conor who reluctantly left Donegal in search of work and a better life. We imagined Conor as a male in this early to mid thirties who had emigrated from Donegal to another foreign undisclosed city. Here he found work and started a new life the forming of his own family in Anna (Spouse) and Katie (Daughter). We wanted to show the contrast in Conor’s life from his current run of the mill office job where he is miserable and over worked whilst kept away from his family. This was to emphasise the contrast in the quality of life between Donegal and another location anywhere else in the world. We envisioned Conor as someone with tons of pride in his home county. 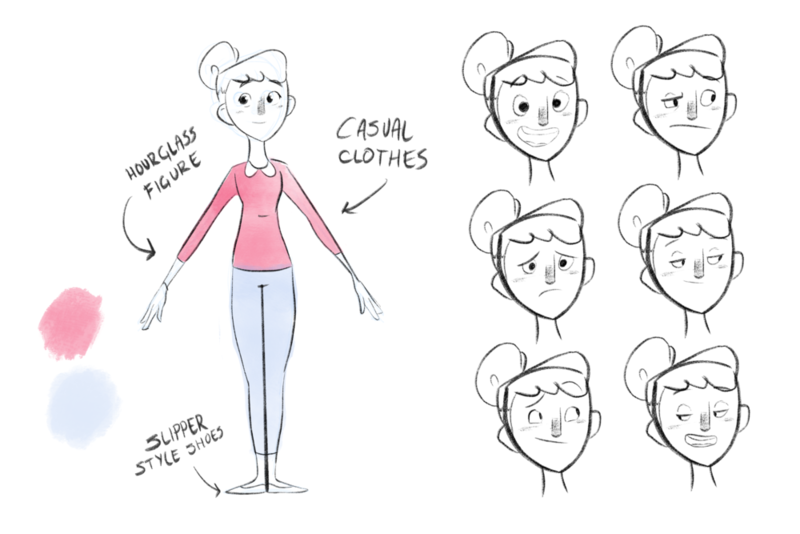 This is reflected in many aspects of the character design and video. The overarching colour scheme is that of the Donegal colours (Green and Gold). This is shown in Conor’s casual loud and proud outfit and also in his office uniform. Where the he contrasts the mundane boredom of his office place and strict bland dress code by holding onto his identity through the green and gold tie. 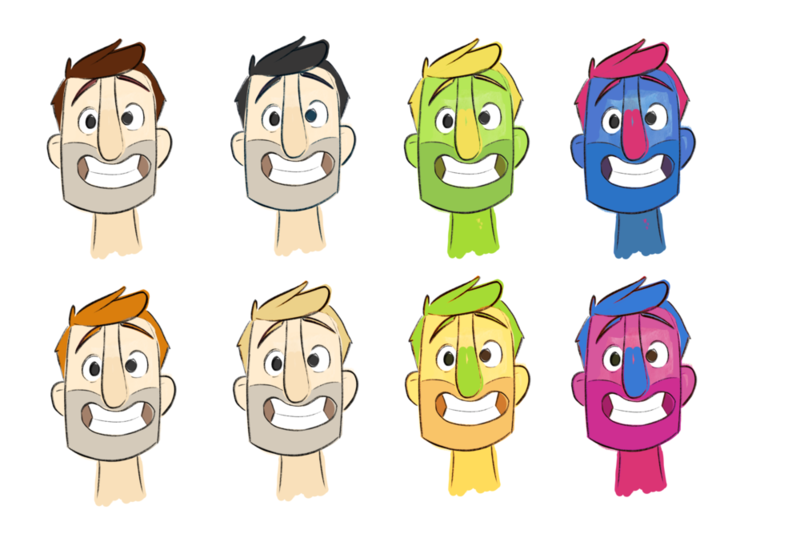 One exploratory colour scheming was one I dubbed “Muppet“. Here Conor would of had a complete Green and Gold colour scheme which would of been contrasted with characters sporting aRed and Blue one to reflect their nationality. This would’ve reflected Conor feeling out of place and his longing to return to the hills of Donegal. Ultimately we settled on a more conventional colour scheme. Following Conor, I developed Anna to be Conor’s partner. We wanted someone within the same age range as Conor to help sell this story of him finding love abroad and deciding to create a life in an unfamiliar land which eventually lend to the forming of a family. Lastly, to complete the family unit was to introduce a child into the couples family. We weren’t originally sure which age group the child/children should be beyond with the primary education range. So I created a newborn/toddler which was gender neutral and a boy and girl character of approximately 8-10 years old. 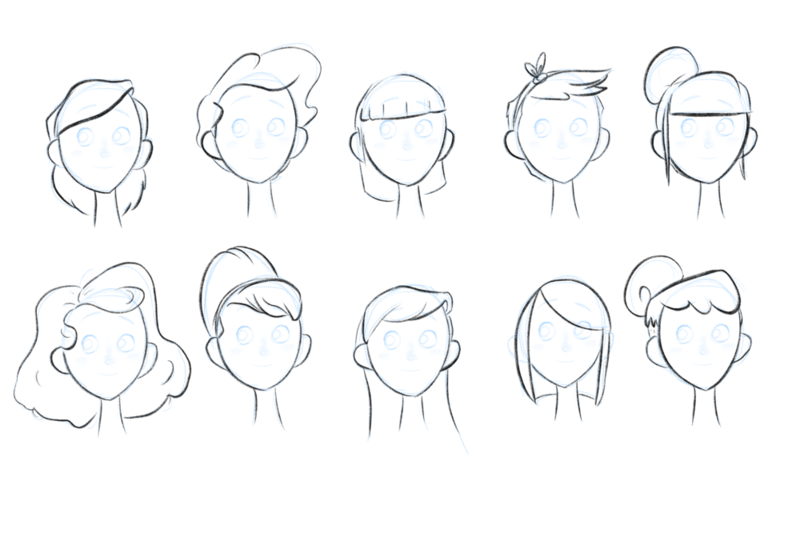 When creating the older set of kids I focused on ways of trying to bring in both parents traits into the designs, such as the child having hair based on or in a similar shape to that of the parent from the opposite gender. 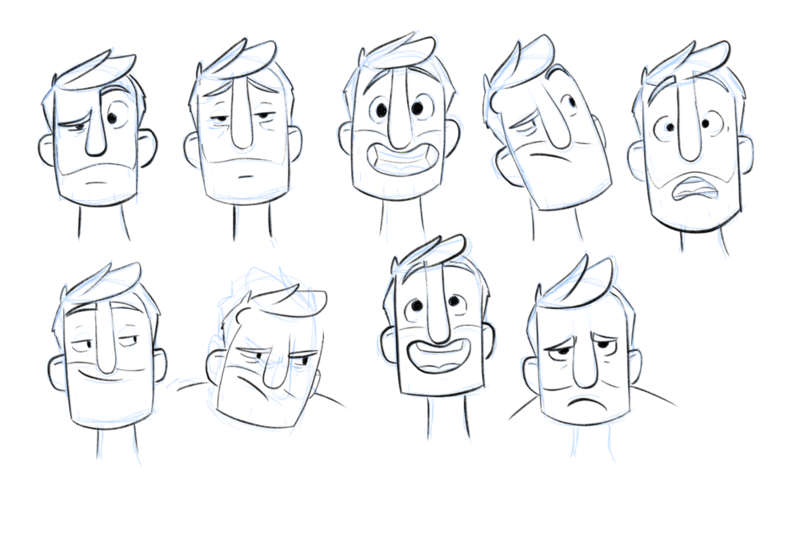 I also created face shapes which were hybrids of Conor’s more squared box head and Anna’s rounder face shape. The idea floated between either both of the male and female kids acting as a set of twin brother and sister or one of the kids and the baby as we really wanted to have this idea of an already long established family unit. We ended on one child and selected Katie to the daughter of the family.